California Blend is available in both poly and paper bags. 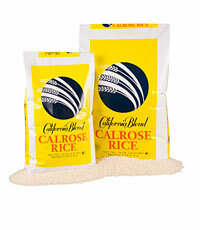 The most popular of the California medium grain rices, Calrose makes up about 85 percent of the state’s annual rice crop. The grains are soft and stick together when cooked. 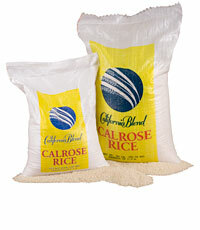 This versatile grain makes an excellent table rice, and is also perfect for Mediterranean and Asian cuisine such as paella, pilaf and rice bowls.